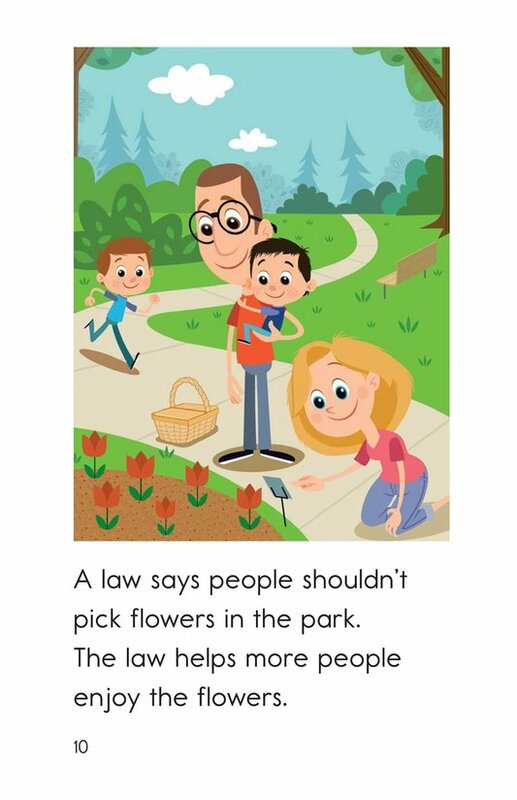 Why do we have laws? 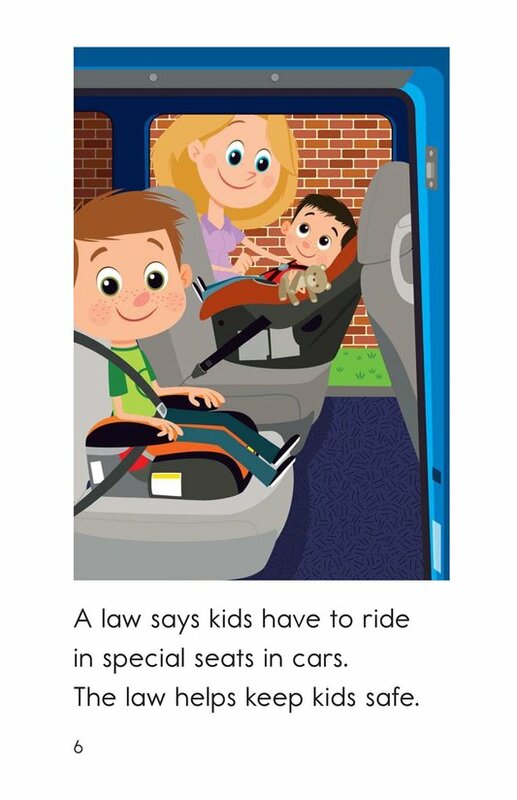 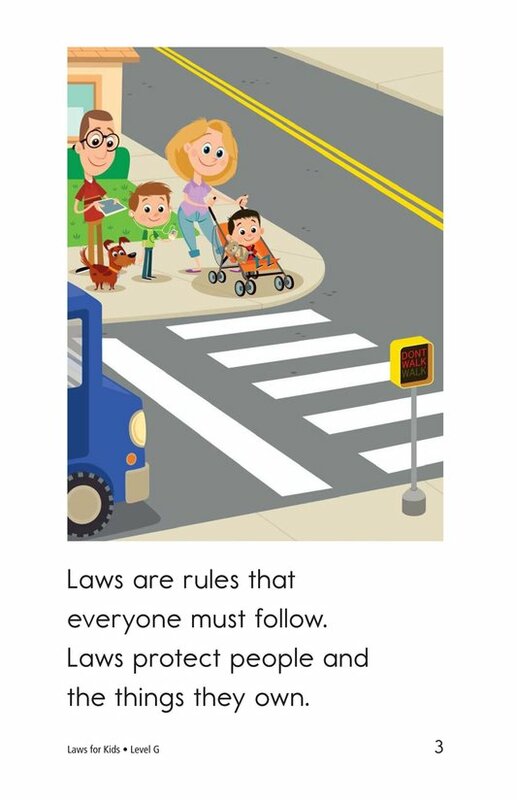 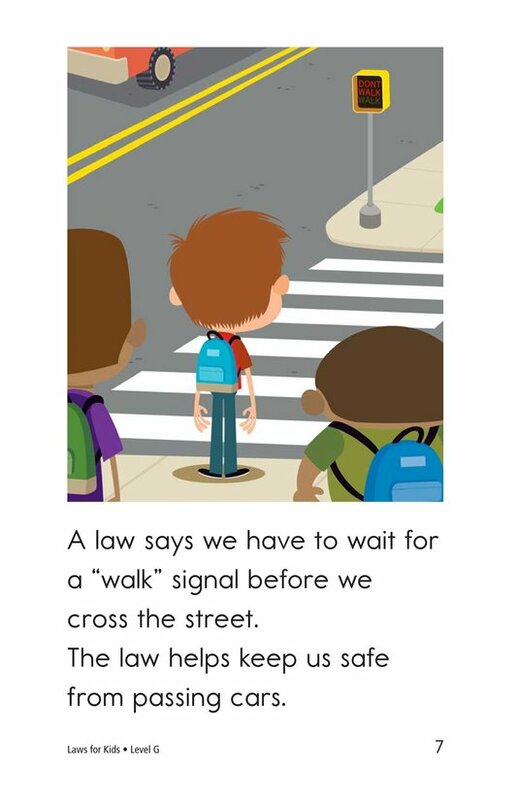 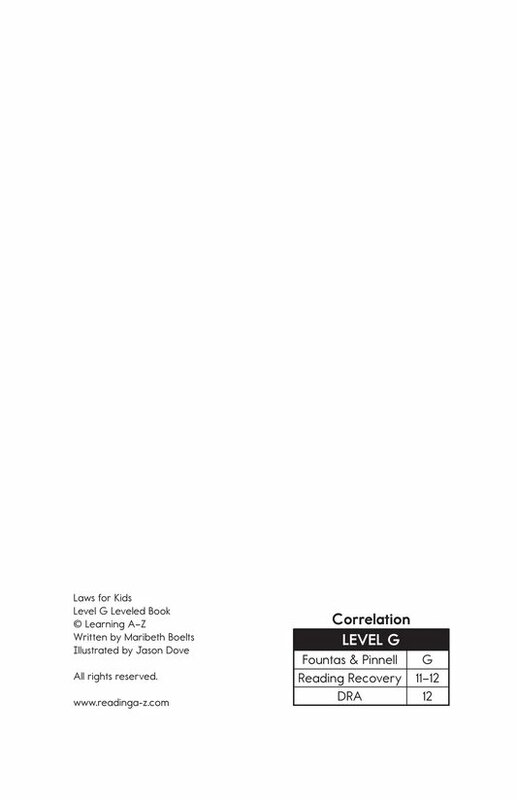 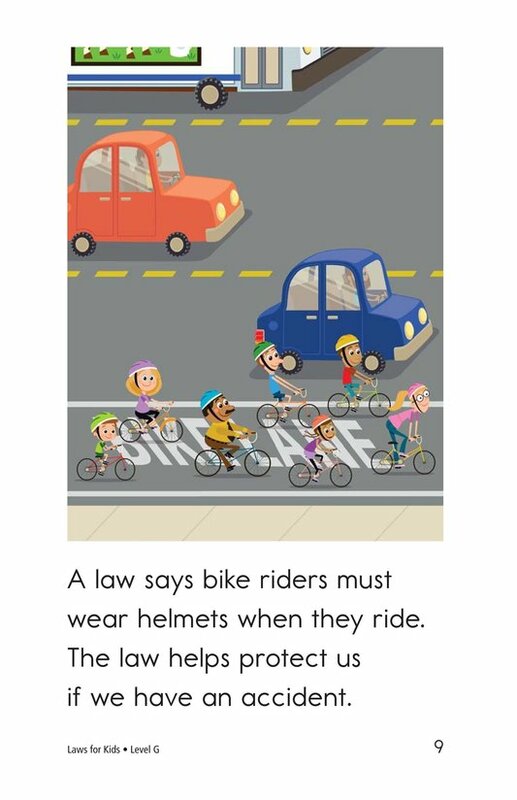 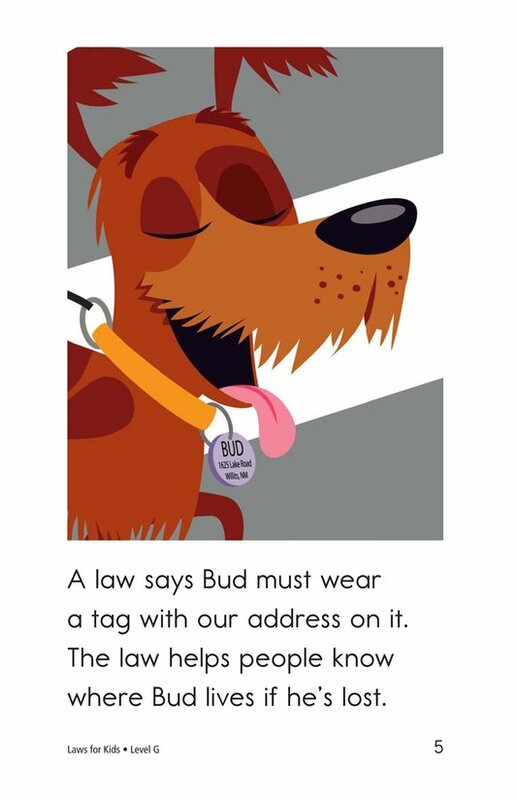 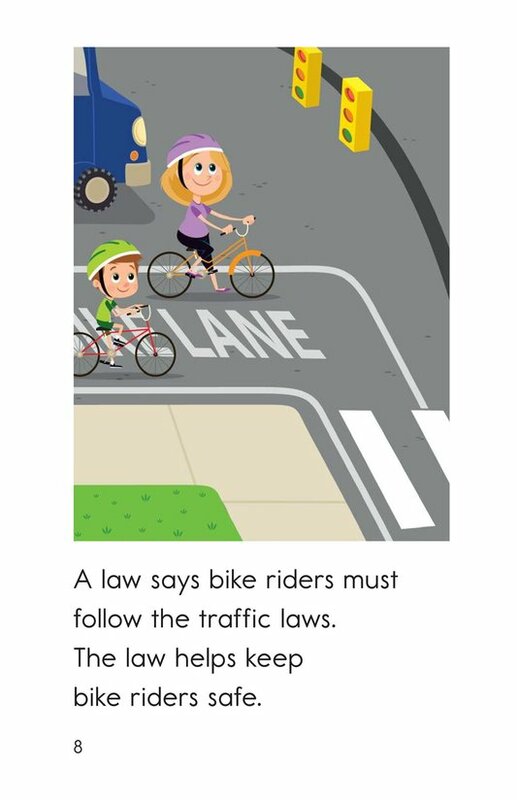 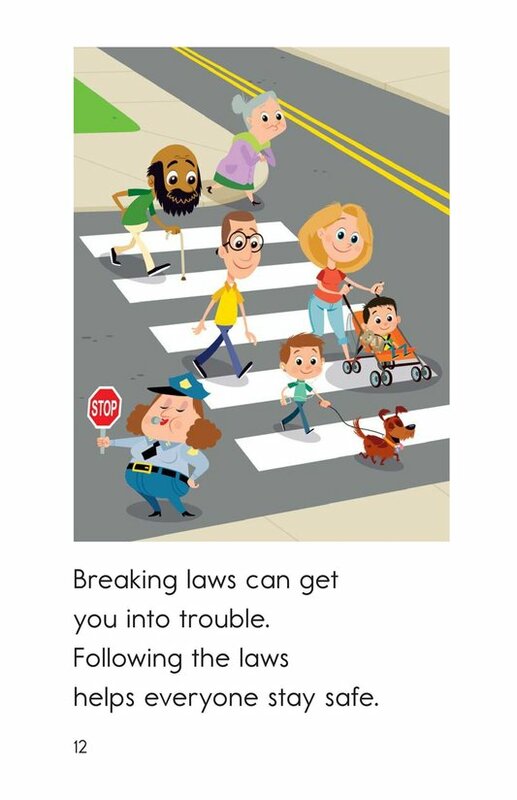 Laws for Kids explains that laws are rules everyone must follow to protect people and property. 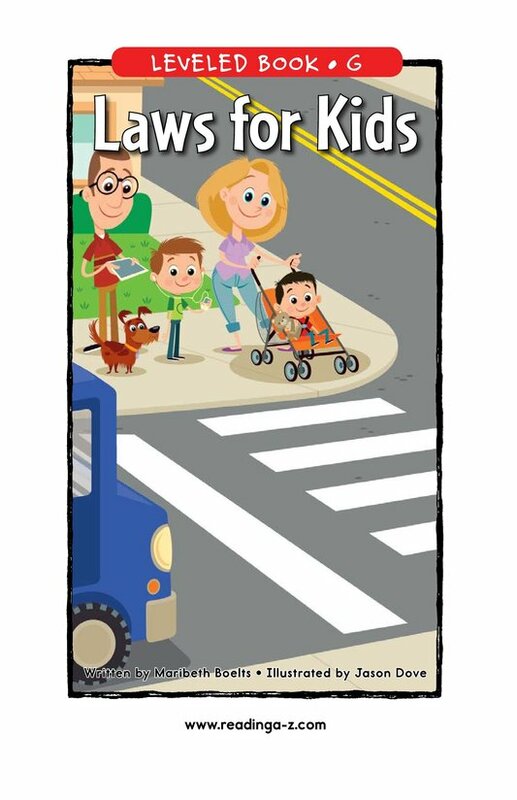 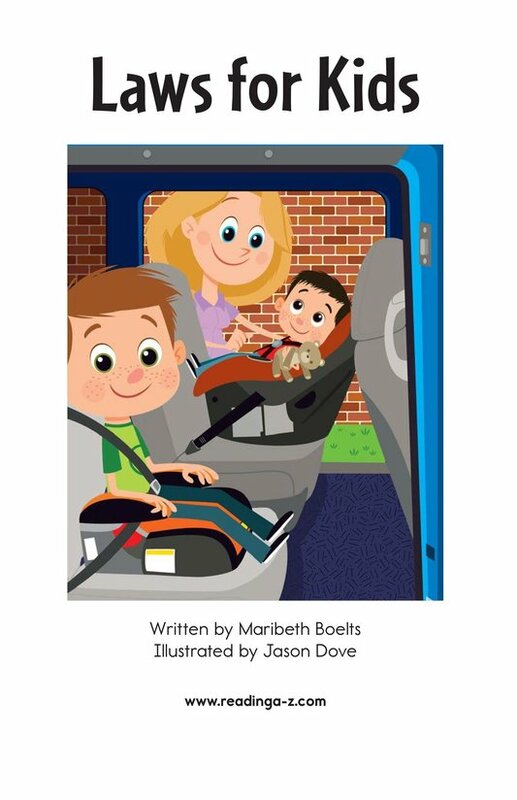 The illustrations depict a family following some basic laws as they travel around the city. 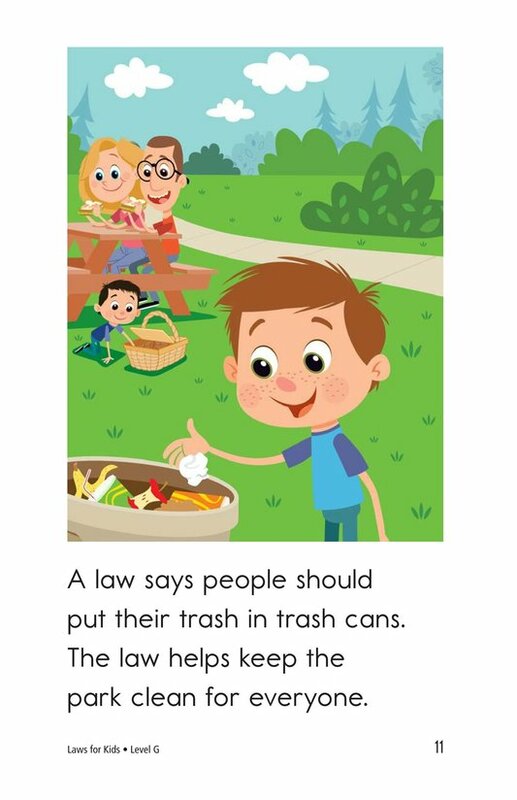 Students have the opportunity connect to prior knowledge as well as identify cause-and-effect relationships in this story about laws. 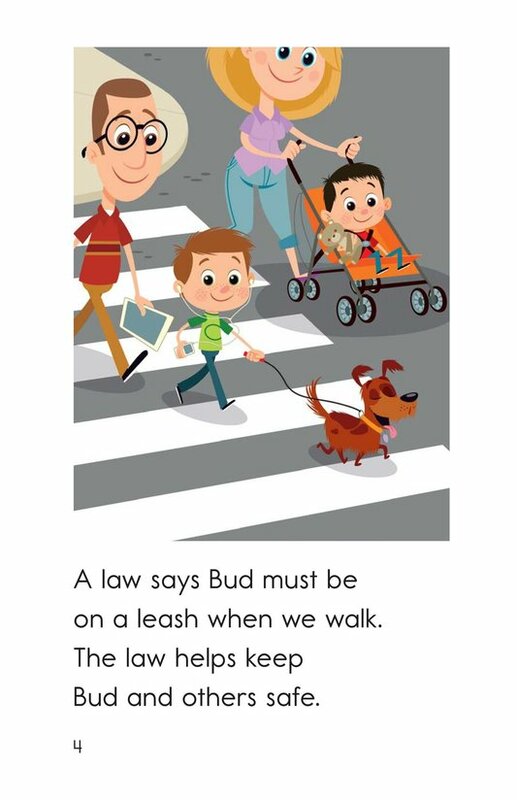 Detailed, supportive illustrations, high-frequency words, and repetitive phrases support emergent readers.